I have a confession. For years now I have had this hidden belief that to make it into the "cool" mom club (if there was such a thing!) 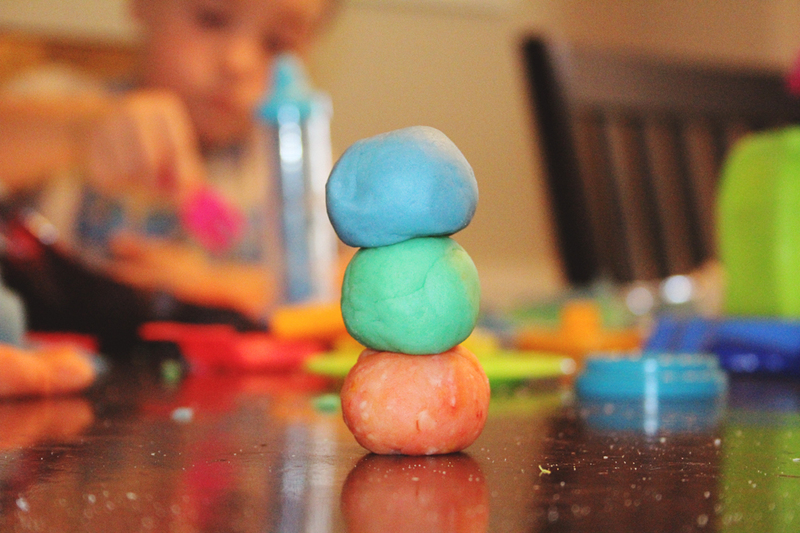 you have to know how to make homemade play dough. Yesterday I conquered this challenge in 3 cool colors of orange (sort of), blue, and green. The orange was my first attempt and we will leave it at that. But the blue and green could very well hold up to Hasbro Play-doh quality standards :) The best thing there was more than enough to go around for three kids too. 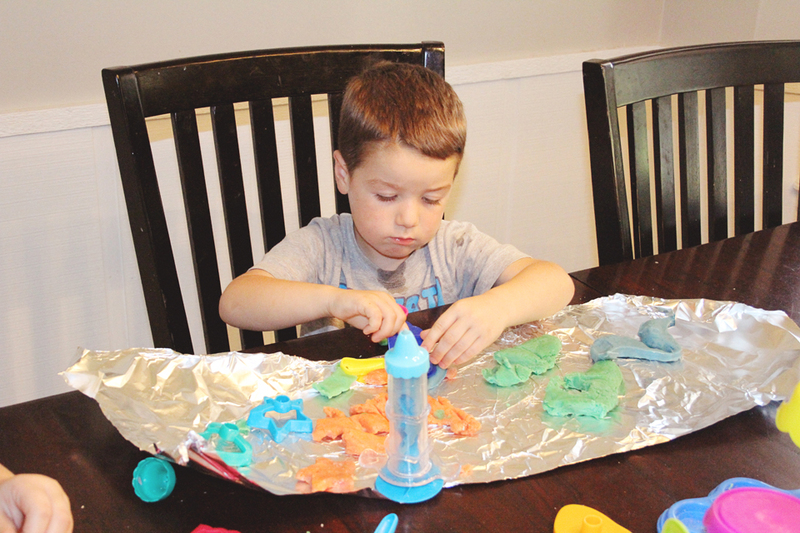 Every child got their own play dough and if you mixed colors well that is up to you. 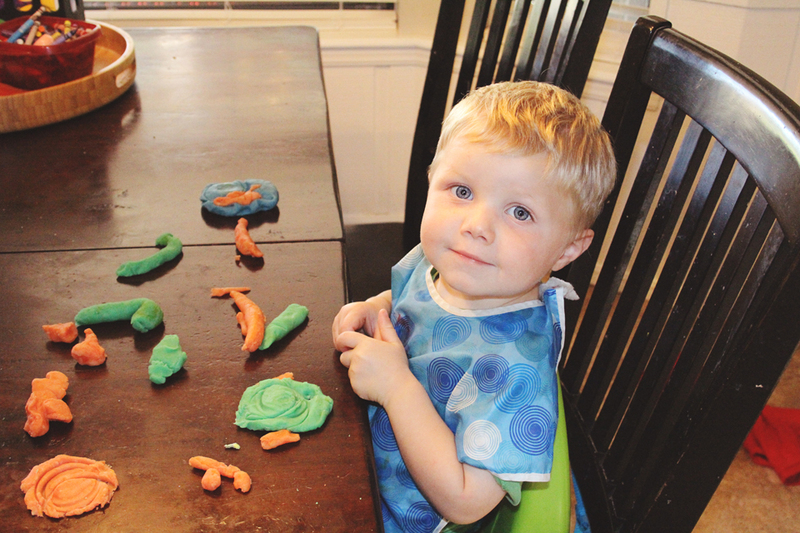 We did have to mention a few times that Play-dough is not for eating for Luke. But after a few tastes he caught on pretty quickly! Here is the recipe that I followed thanks to Pinterest. 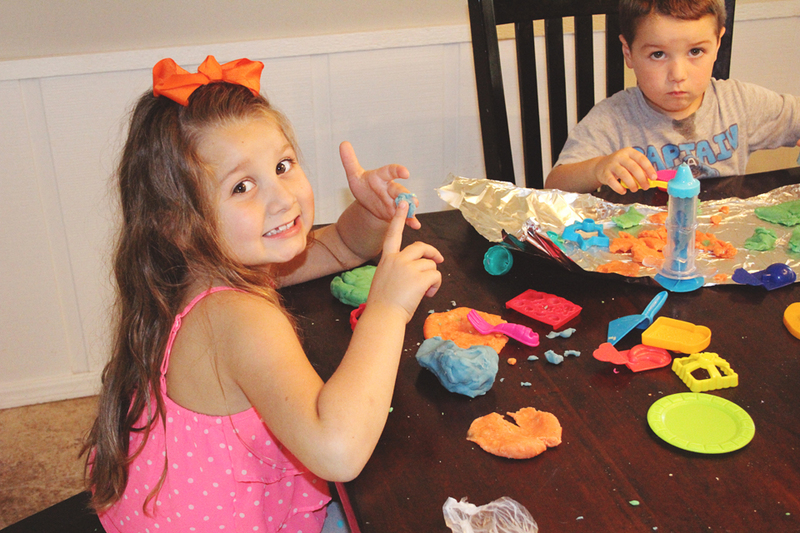 My first tip would to be not to tell your kids they can play with play dough and then figure out how to make it. Make it ahead of time and then let your kids in on the fun. Mix together well before heating on the stove so that the color mixes well. Then stir it as it heats it will quickly form dough. Then let it cool and play. You should be able to keep it in the fridge in an air tight container for several months.